Time-slot reservations are essential for the Anne Frank House and Van Gogh Museum in Amsterdam. Rijksmuseum and Keukenhof tickets are also best bought online. The Rijksmuseum in Amsterdam has four Vermeers on display. In 2019, the Anne Frank Huis and Van Gogh Museum in Amsterdam may only be seen on advance online purchased time-slot reservation tickets. Tickets cannot be bought at these museums at all. Any other valid passes or free admissions require online e-ticket time-slot reservations too. For the Rijksmuseum and Keukenhof reservations are generally not possible but advance purchased tickets are a very good option and allow for skip-the-ticket-window lines. Guided tours are good options for fast admissions at busy periods. Tickets for the Anne Frank House Museum in Amsterdam are only sold online and only on the museum’s own website. It is not possible to queue up or buy tickets at the museum itself. Currently, 80% of tickets for the Anne Frank House go on sale two months in advance. The remaining 20% of tickets are sold on the day of visit but once again these tickets are only available for purchase online. Bearers of the Dutch Museum Card (Museumkaart) and any visitor with free admission, e.g. children under 10, must also make online timeslot reservations to enter the museum. 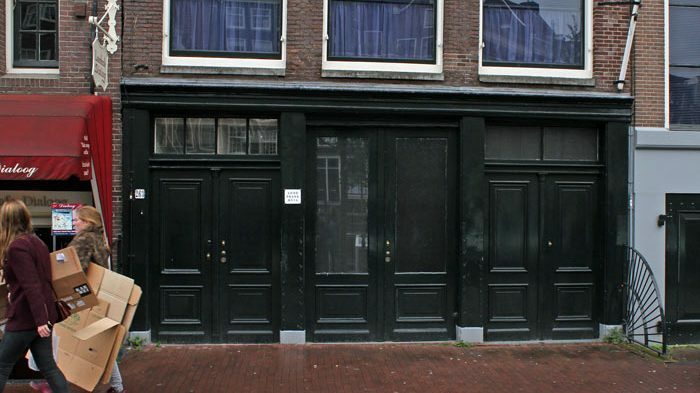 Many tours in Amsterdam show Anne Frank sights but none include admission to the Anne Frank House itself. See Visiting the Anne Frank Huis in Amsterdam for more information. Tickets for the Van Gogh Museum in Amsterdam must be bought in advance and mostly online, as tickets are no longer sold at the museum itself. All tickets to the Van Gogh Museum are per specific timeslot and thus in effect skip-the-line. 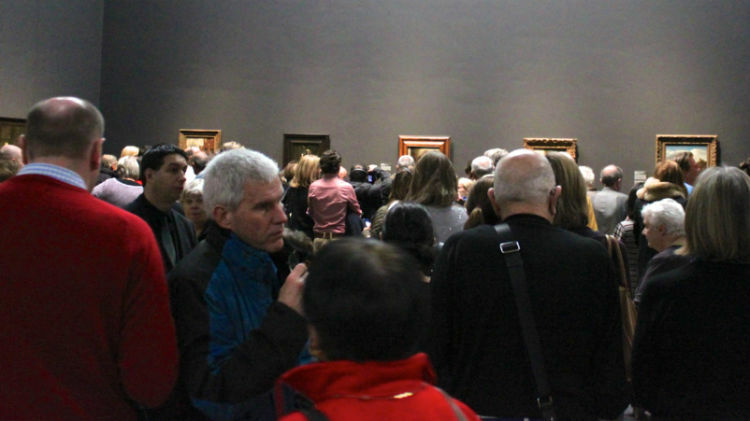 Tickets for the Van Gogh Museum are cheapest on the museum website – visitors with free admission, e.g. children under 18 and bearers of the Museumkaart must still make free time-slot reservations. The Van Gogh Museum is also included in many tours and combination ticket deals through resellers such as Tiqets and GetYourGuide. 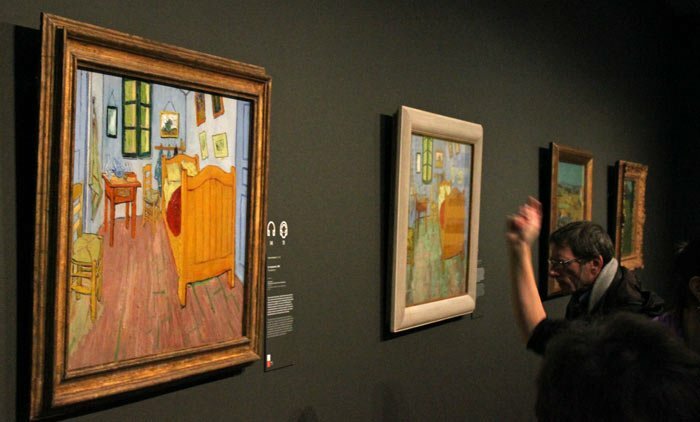 See Visiting the Van Gogh Museum in Amsterdam for more tips and information. Currently, it is possible and recommended to buy tickets for the Rijksmuseum in advance. However, time-slot reservations for the Rijksmuseum are not yet possible but will be introduced during the All Rembrandts in the Rijksmuseum exhibition (15 February to 10 June 2019). An online ticket thus is not a true skip-the-line ticket, as visitors will still have to wait outside and queue when the museum is full, but obviously won’t have to queue to buy a ticket once inside. The best times to visit the Rijksmuseum are early morning (exit by 11:00) or late afternoon (enter after 15:00). 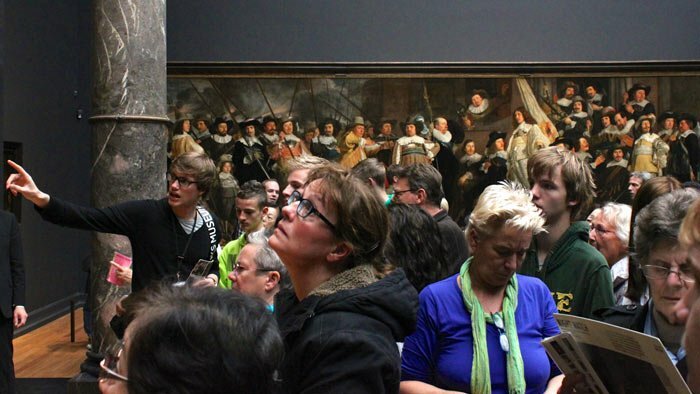 Immediate access to the Rijksmuseum is only possible for visitors with a reservation for the official guided tour – not the multimedia tour – or on other group tours. Group tours generally offer better value if combined with other excursions such as a canal cruise or visit to Keukenhof in spring. See also Tips on Visiting the Rijksmuseum and All the Rembrandts in the Rijksmuseum in Amsterdam exhibition. Keukenhof flower gardens are open only two months in spring each year but attract 1.4 million visitors in this short period – around 20 March to 20 May. 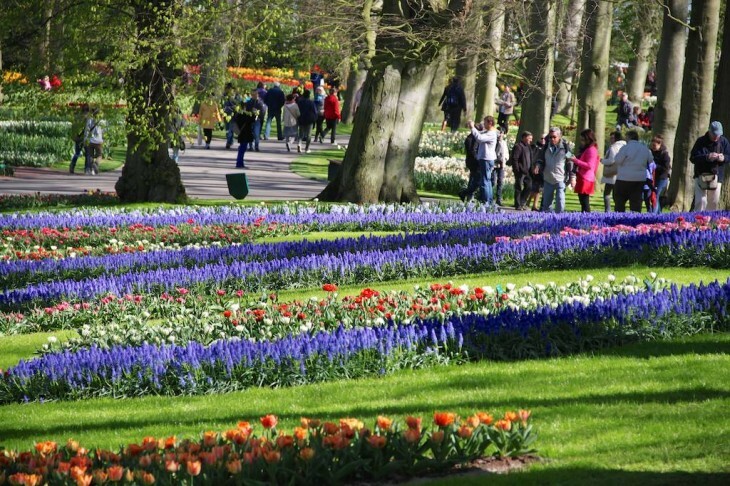 Advance purchase tickets for Keukenhof are a very good idea and all are skip-the-line allowing visitors to proceed directly to the entry gates without having to pass by the ticket windows. Keukenhof tickets with transportation from Amsterdam, full guided tours and tours from Amsterdam with further sights added such as the windmills of Zaanse Schans, the Aalsmeer flower market or a visit to a bulb farm are popular. Public transportation to Keukenhof is easily arranged from Amsterdam or Schiphol Airport while a cycling tour of the bulb region is a pleasant add-on to a visit to Keukenhof. For more information see also Keukenhof Tulip and Flower Gardens and Cycling at Keukenhof and the Flower Bulb Fields in Holland. Advance online ticket reservations are increasingly necessary to see top sights in Europe, including the Sagrada Familia in Barcelona and The Last Supper in Milan. This is generally good news for travelers who plan ahead, as less time is wasted queuing outside popular museums and tourist sights and crowds inside are better managed.